Playards & Playpens For The Baby On-The-Go! When looking for a playard for my little cub, we went used and bought off our local Facebook swap site. The pack ‘n play we found was barely used and in really good condition, so for used price it was a steal. That being said, I know that some things you just want to buy new so you know that no germs and grime are embedded in the fabric, and you also don’t have to worry about whether or not the previous owner smoked (sometimes people lie to make a sale). If you are looking to buy new, there is no reason to break the bank. While some more expensive playpens offer a few more features, you can get through easy enough with a playard that is under $100. To save you the time of researching the different options available, I have compiled a list of 5 highly rated playards from Target. * All links on this page, including linked images, are Target Affiliate links. This means that you won’t pay any extra if you make a purchase, and I may receive a commission to help support my site! If you are wanting to get a playpen on the cheap, then the Costco Funsport Playard is the best way to get started! This playard is fairly basic, but if you are looking for a cheap solution for an older infant or younger toddler, this may be the one for you. 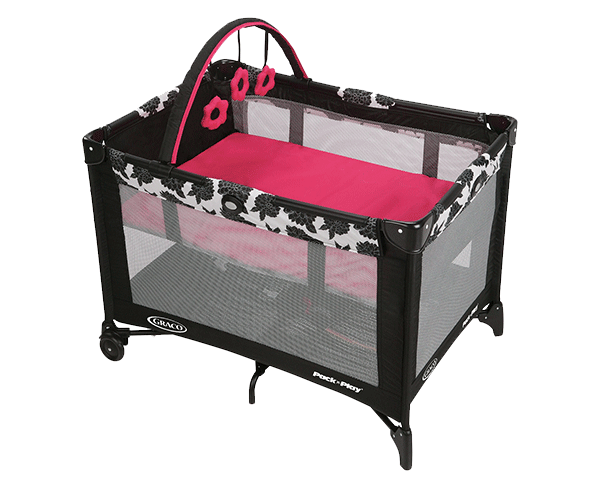 This playard claims to set up in seconds and folds into a compact carrying case so you can easily take it on the go. As for features, that is pretty much all this playard has to offer. The Costco Funsport Playard is great for the reasons mentioned above, but it lacks in versatility if you are wanting more. This play pen is just that, a play pen. There is no bassinet for the younger infants, there is no changing table. There isn’t even a storage solution for the outside. This is just a plain old play pen. If you are looking for a brand new play pen on the cheap, then this may be the way to go for you. If it were me and this way my price range, I would probably go for a cheap used one that packed more features. But again, you may not always want to buy used, so if you have a kid that is old enough to not need the bassinet, this may be a good fit for you! Looking for a portable solution for a crib on the go? This playard may be the one you need. This playard packs a lot more features than the Costco playard above. This Baby Trend playard comes with a full-size bassinet, so you can use it with the younger infants and keep them within easy reach. It has a large area for play when the bassinet is removed, so works great for toddlers as well. This playard also comes with a large mesh storage compartment that you can move to anywhere on the sides that is convenient. 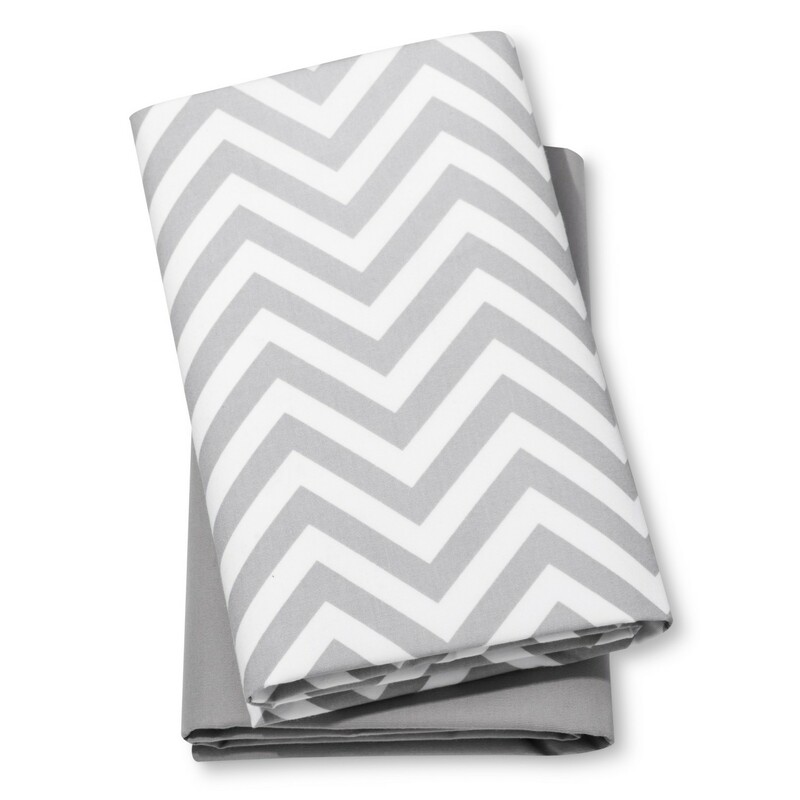 This is great to keep diapers and wipes close by. On top of all this, the playard comes with a removable mobile, making this model closer to a real crib than others. It still folds into a compact design with a carrying case too, so this model is easily transportable. The Baby Trend Trend-E Nursery Center Playard doesn’t come with a changing station, so if that is a feature you are looking for, this won’t be the model for you. I love the look of this playard model. It has the convenient bassinet like we had for Little Cub, what looks like tons of storage space for baby essentials, the the added mobile makes it feel more crib-like to me, and having that crib feeling while still being portable makes it seem like a good deal to me! This playard is in a category of it’s own. It is more of a play pen, and reminds me of the one Tommy Pickles and his friends used on Rugrats, except more lightweight and portable. And boy, does this Summer Infant® Pop ‘n Play Portable Playard seem to have a lot of uses! 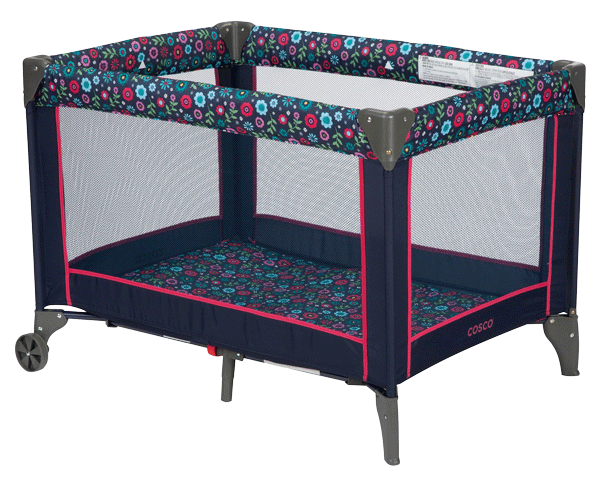 While the name Pop ‘n Play appears to be a riff on Graco’s popular Pack ‘N Play models, this play pen couldn’t be any more different. With 14 square feet of playing area, your little crawler will have tons of room to move around while you keep them contained in a safe and clean area. 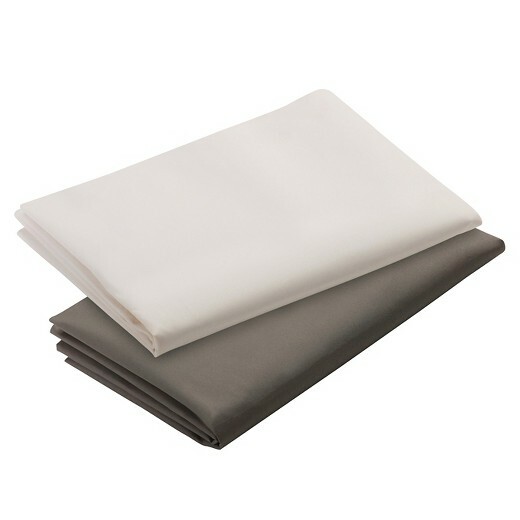 The whole playard is only 12 lbs, and from the video on the Target product page, it appears to be fairly simple to fold and unfold, also coming with a convenient carrying case like the other models on this list. The floor is water resistant, so not only can you keep the material from getting wet from baby messes, but it will also keep baby dry if you play the playard on the wet grass. From the pictures, this playard has a number of awesome uses. Besides keeping baby in a safe area, one notable advantage they show is putting your Christmas tree inside to keep baby away so they don’t wreck ornaments or pull the tree down on themselves. The page also shows that this can be used to keep pets in a certain safe area as well! 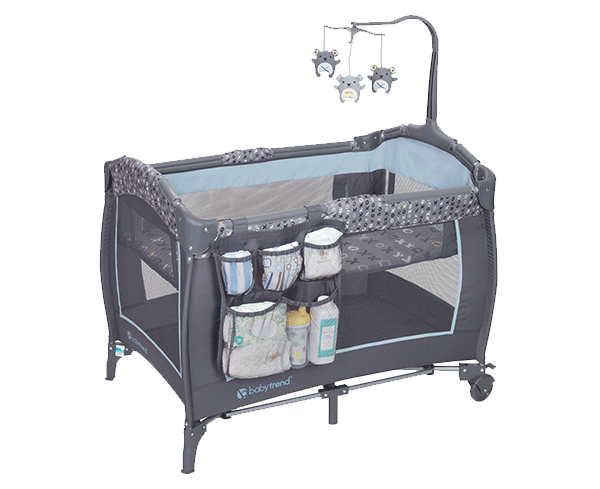 This isn’t your standard playard, so you won’t be getting any kind of bassinet, changing table, or storage area with this one. I wish I would have had this playard this past Christmas! We had to downgrade to a little tree on the kitchen table so Little Cub wouldn’t get into it, and it made me a little sad to not be able to have my big, beautiful Christmas tree up. 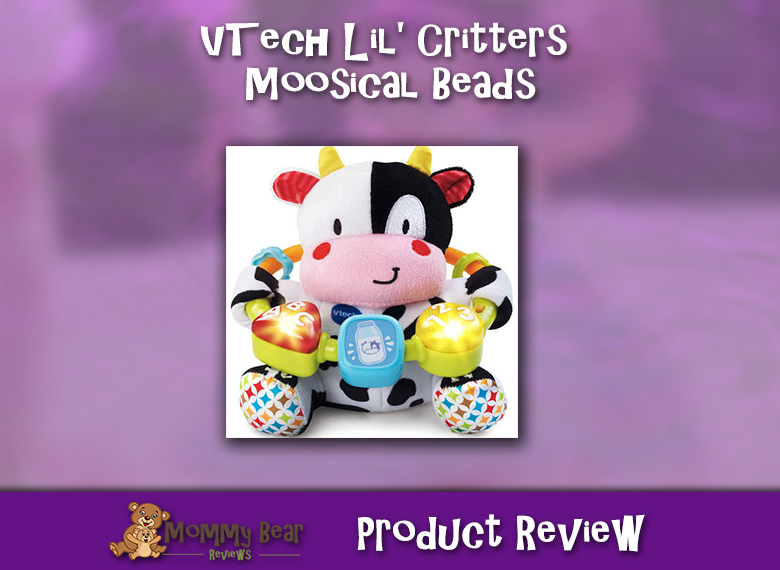 This looks like it may be a great addition to our set of baby items, even along side our normal Graco Pack ‘N Play that we use, just because it has so many other uses that the normal playards don’t have. With more features included, this Graco Pack ‘n Play Playard On The Go is sure to provide convenience for you and your baby no matter where you go! 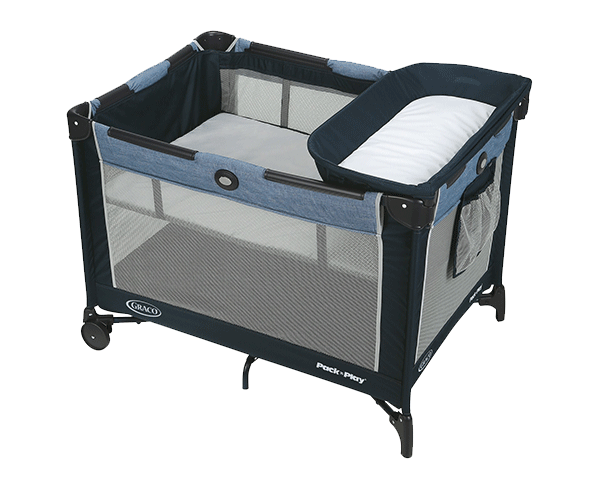 This Pack ‘N Play® is classic Graco®. It folds up nice and compact, even to the point where the wheels and legs fold in to help save even more space. This playard comes with a toy bar, which is closer than the mobile on the Baby Trend playard shown above, allowing for baby to touch and interact with the soft flowers, or at least reach for them if they can’t quite reach yet. This allows for some sensory play for baby as they begin to explore their world. The On The Go Pack ‘N Play also features a full-size bassinet, so you can keep baby closer, and also allows for easier transfer of sleeping baby from arms to nap spot in the playard. This Graco® model is still missing the changing table, although you may not need it if you feel comfortable enough (and are quick enough to avoid accidents) to change them in the bassinet. This is the closest version on this list to what we had for Little Cub. We had a changing table that folded up on our model, but that model is not in production any more. Little Cub loved the toy bar and reaching for the flowers, and the bassinet was a great place for her to nap as a newborn. Our Pack ‘N Play® still holds up well and we love the portability that playards bring to our life! Another Graco® Pack ‘n Play® makes the list! With this model you get the added bonus of a changing station. This Pack ‘n Play® comes standard with the full-size bassinet, but also has the added bonus of the changing station. With this addition, you are able to change your baby’s diaper closer to you, so less bending down, and more control over the more squiggly babies out there. As with other Graco® models, you have the push-button fold, and the wheel that fold in to allow for a 20% more compact fold. This model comes with a carrying case as most all do, so you can pack it up and easily carry it to your next destination. 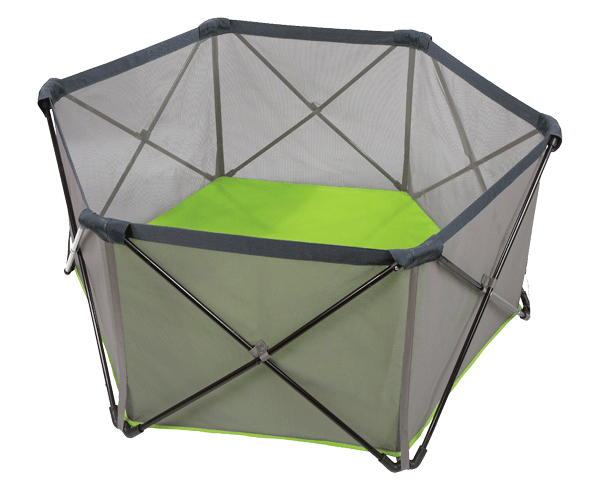 The Simple Solutions™ Playard also comes with a mesh storage bag, so you can keep diapers and supplies close at hand. This model doesn’t come with a toy bar for your baby to play with. If you go with this Pack ‘n Play®, you may want to see if you can get a toy bar elsewhere to go with it. With the Pack ‘n Play® that I had, the changing table seemed a little flimsy, and like Little Cub could roll off easy enough. This Simple Solutions™ model seems to have a little better version, as the walls of the changer seem taller, although I can’t verify the safety as I haven’t used it myself. I found that changing my daughter in the bassinet area was easy enough without much bending down, but you also have to be wary of those messes that may not be so good for the fabric. Don’t forget the sheets! 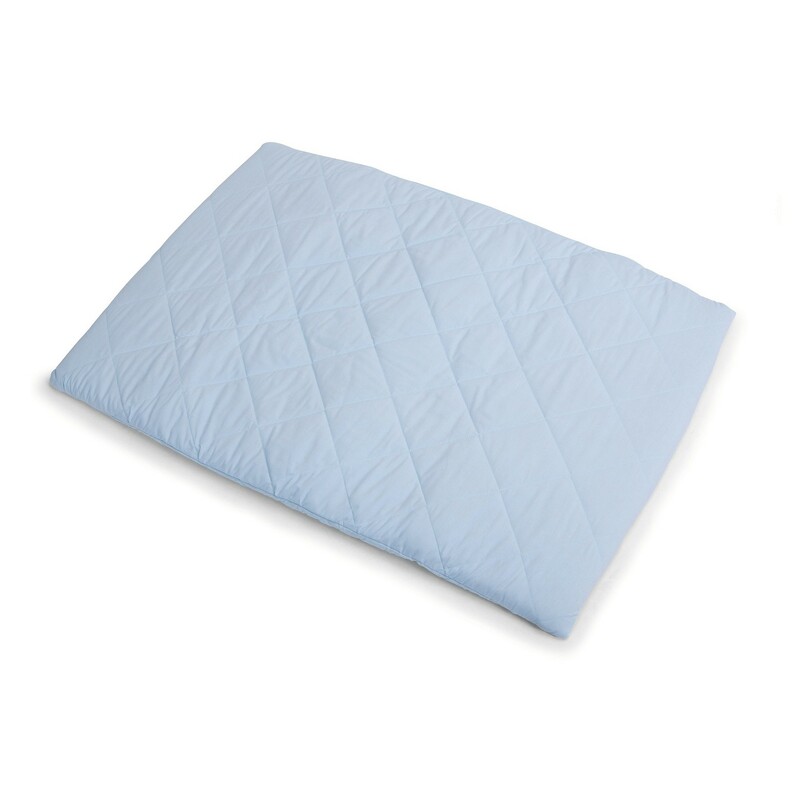 Some playards can be a little uncomfortable for your baby, and some sheets add a little extra padding for comfort. It is also nice to be able to have something to change and wash if baby makes an accident! Accidents are not unheard of with playards that don’t have a changing table. Keep it clean! Need a good double stroller that doesn’t break the bank? 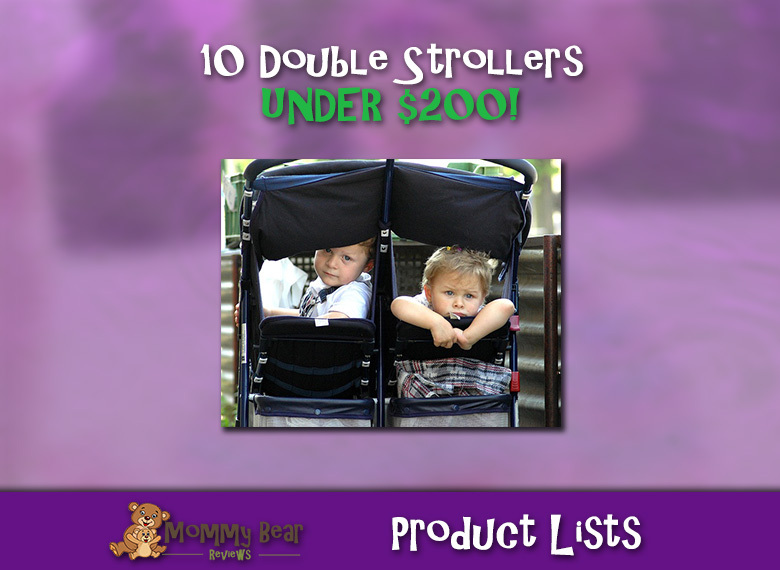 Check out Mommy Bears 10 Double Strollers Under $200! Save money while doing your normal shopping online! 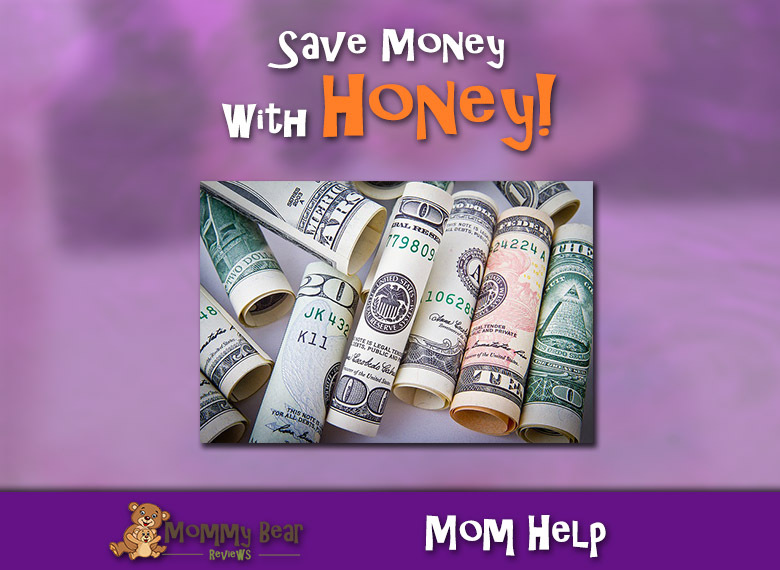 Honey finds coupon codes and lower prices! Invest spare change without having to think about it! 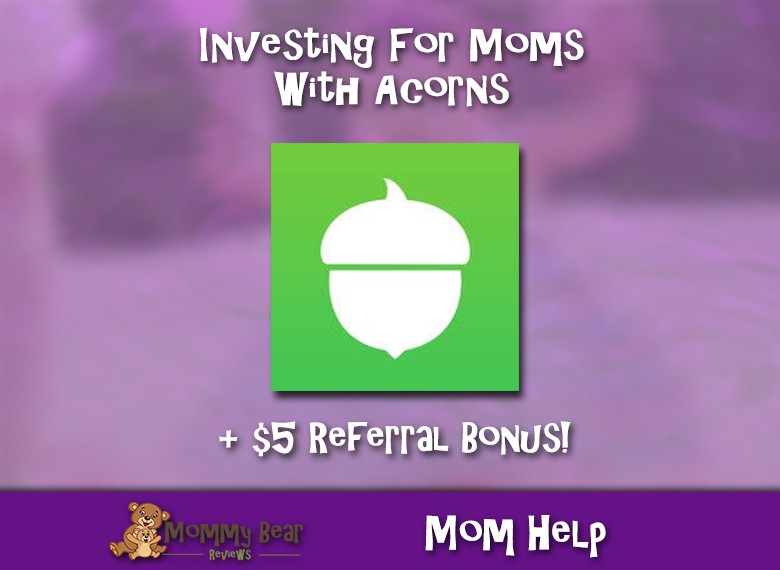 Try Acorns!